Since moving to NJ my appreciation for Trader Joe’s has skyrocketed! I’ve become such a fan and am always on the hunt for whatever products are new in store! I’m not sure how new this product is because it could potentially be a seasonal item, but GOSH DANG, their Sweet Plantain Chips are OFF THE HOOK! Sweet, crispy and crunchy in all the right ways, plus there is absolutely no sugar added, this is a great and satisfying alternative to your standard potato chip. 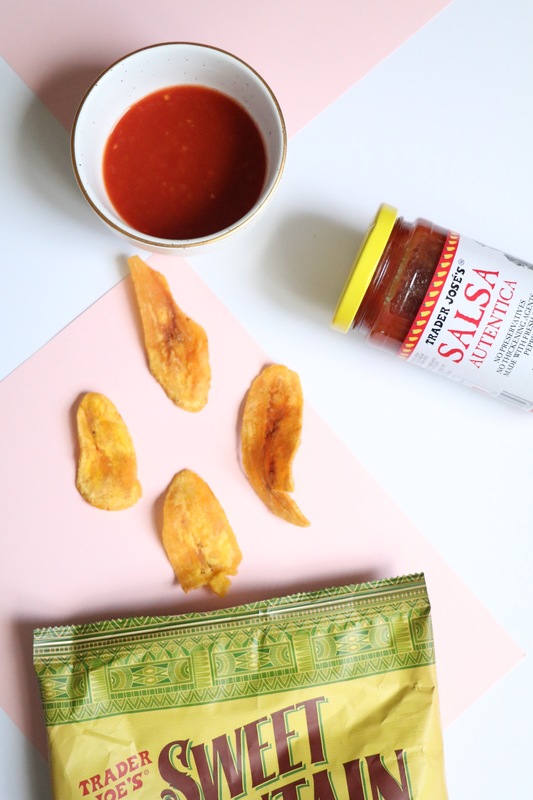 If you’re ready to have you mind blown and you love a great sweet & spicy combo, I DEMAND you dip these delicious plantain chips into Trader Joe’s Salsa Autentica! Trust me when I say you’ll be thanking me! This is officially my go-to summer snack. I’m already planning a get together at my place just so I can serve these to everyone invited! It’s THAT good & AFFORDABLE! If you’re looking for a good facial cleanser and exfoliator that won’t break that bank, then I highly recommend checking out Pixi’s Glow Mud Cleanser ($18) & Glow Tonic To-Go ($18). 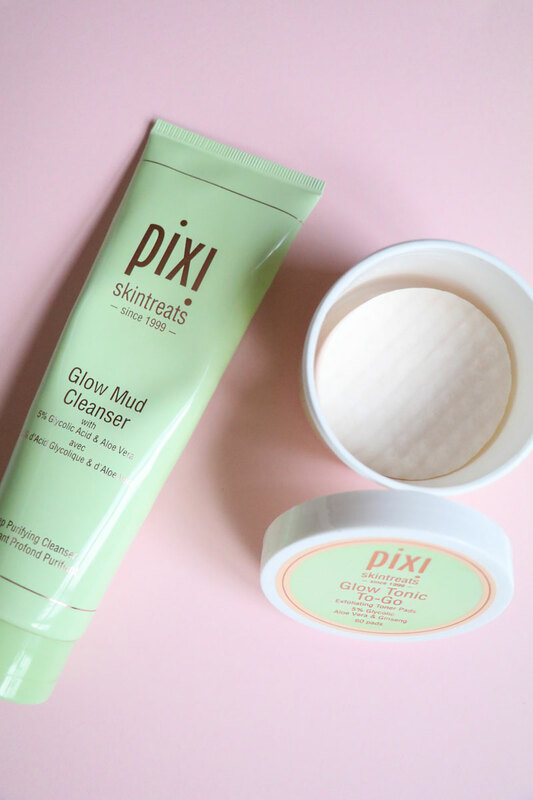 I find Pixi’s Glow Mud Cleanser to be surprisingly soothing and gentle on my dry skin for being a deep pore cleansing mud. I’ve been using this both AM & PM and not only am I obsessed with the scent (it reminds me of a light almond/cherry scent), but I LOVE how smooth my skin feels afterward. Another bonus: the tube comes with a generous amount of product! I then follow up with Pixi’s Glow Tonic To-Go! Pixi’s original Glow Tonic is one of their absolute best selling products, so I was thrilled to have the opportunity to test out their To-Go variation. These travel friendly pads are pre-soaked in their Glow Tonic formula and work to instantly revitalize my skin prepping it for my serum and moisturizer by toning, brighting, hydrating and exfoliating. If you’re looking for some chill beats to help you ease you into work mode, this playlist that streams live on YouTube 24/7 is definitely worth giving a shot. Since discovering this YouTube channel (thanks to Brian and his obsession with Reddit) I’ve been MUCH more productive, find that I am able to focus longer and work more efficiently. Plus, I love me some good lo-fi hip hop! Prefer Spotify? Listen to a similar playlist here. Slip on those headphones, bop your head to the beat and get into the zone!